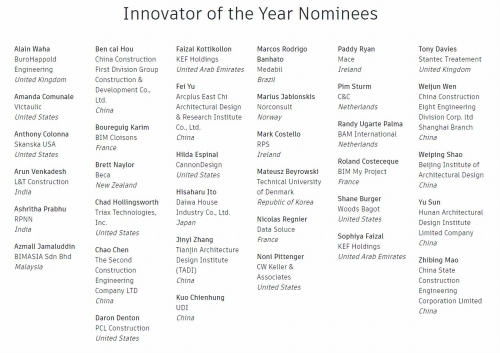 The new “Innovator of the Year” award recognizes a person who is transforming the design and construction industry through the use of technology, collaboration, evangelism, and innovation. The six principles for successful at BIM 3 are always, must be model = drawing. 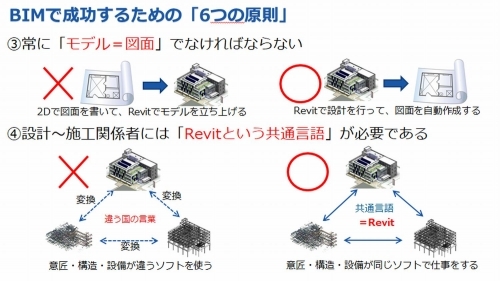 REVIT has the function of two-dimensional CAD. Therefore, at the beginning of use, we will complement what is difficult to express in the model with 2D line segments and letters. Then, it becomes ambiguous that making models have information, and making it into a drawing according to the model. Then it becomes 2 dimensional CAD based on 3 dimensional model. Because 2D elements are displayed only in the entered view, it is only an expression that does not have consistency. It is totally different from giving information to the model and displaying it. If you use Revit only to complete the drawing, that may be acceptable. However, BIM is the key to how to utilize the information accumulated in the model at the next stage. Therefore, you must always draw drawing from model information to create drawings. Even so, I think that some people are told that not all drawings can be written from the model. Below is the composition table of Revit data drawing for BIM application. Many are created in the drafting view. I am thinking about studying ways to make this part have information in the model, but at the moment it is the situation that I have to create it in the drafting view. However, I think that it is necessary to make the model = drawing as much as possible, only the drawings created from the model and the drawings created from the aggregations. If it is not a model = drawing, it means that there is no point in checking how much you paid for in the model. In addition to checking the drawing, you will have to check the model, only the work will increase. 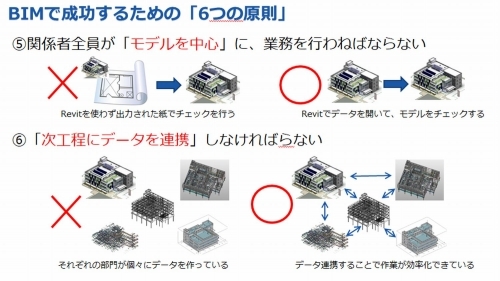 What I checked with the model is that it is incorrect in the drawings, so I think that there is a meaning of model checking by having to make adjustments. 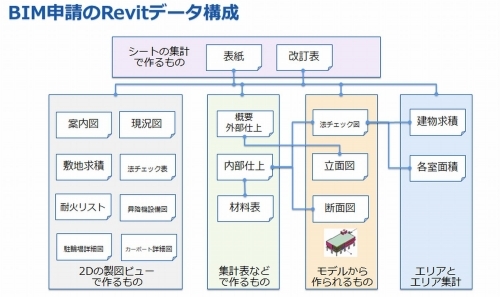 Since you can use any method, you can write a drawing using Revit, let's throw away the BIM-like way of thinking. Otherwise the asset value as a BIM model will be lost.